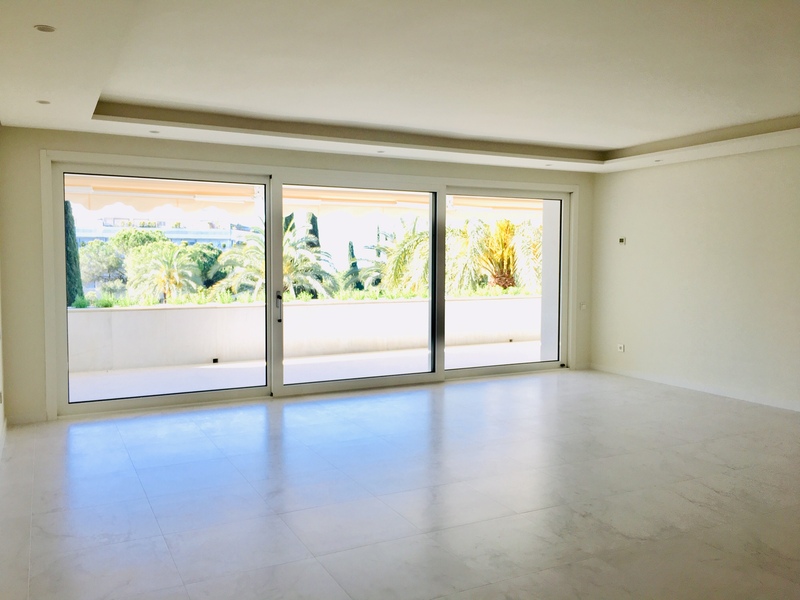 Modern south facing spacious apartment situated second line beach in one of Marbella’s town most sought after complex next to the promenade. This fabulous apartment has been fully renovated to the highest standards. The spacious living room with Italian flooring as the rest of the property, opens onto a large south facing terrace with views over the fabulous gardens and swimming pools, with sea views in the background. Fully furnished kitchen with Neff appliances, 2 fridges, Built-in wine cooler and a separate laundry area with 2 washing machines and dryer. From the entrance hallway we Access the bedroom area. : The master bedroom with bathroom on suite, opens onto the large south terrace; the second bedroom with bathroom on suite and the third bedroom with separate bathroom. All the bathrooms are designer bathrooms and Dornbracht German taps.